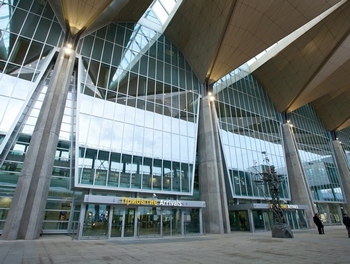 Northern Capital Gateway Consortium (NCGC, controlled by Russian VTB Capital, German Fraport AG and Greek Copelouzos Group), operator of St. Petersburg’s Pulkovo International Airport, lobbies federal authorities on allowing a 72- hour visa-free period for European tourists arriving to St. Petersburg by air. The company estimates the cumulative effect of this measure for the city’s budget to reach US $1 bln per year. The visa-free period may increase Pulkovo’s annual traffic by 1 million passengers, attracting European “week-end travelers” to Russia’s Northern Capital. The 72-hour visa-free regime is currently effective for passengers of cruise ships and sea ferries. “Ministry of Foreign Affairs has to a certain extent simplified the visa rules for [travelers from] the BRIC countries, but European tourism is just as important for us,” NCGC’s GR director Yaroslav Zubilov told Russian Aviation Insider. “The Ministry wants to achieve a European visa waiver, but this is quite challenging, considering the ongoing sanctions. In its turn Russia has a unique opportunity to attract foreign tourists, given the current imbalance of the national currency exchange rate, by waiving the visa regime for a 72 hour period on a unilateral basis. For a foreigner receiving Russian visa is a complicated procedure, and once biometric requirements are in place, it will be even harder”. Another political decision which could have a positive effect on Pulkovo’s traffic, is further air transport liberalization, specifically abandoning the practice of assigned carriers and imposing the Fifth Freedom of the Air in Pulkovo, which would allow foreign carriers to land, take passengers and continue on their way to a third country. “Loosening of visa regime and introduction of open skies policy, would obviously facilitate the arrival of new carriers, opening of new destinations and increase in the numbers of transit passengers,” Yaroslav Zubilov argues. However, whereas visa grace period is beneficial both for the airport itself and for domestic airlines, the Fifth Freedom is opposed by the latter, because theoretically it poses a threat for their own traffic growth. Russia’s Air Transport Operator Association has warned the authorities of the risks, pointing to similar experiments in Vladivostok and Kaliningrad that did not prove as beneficial as was hoped. After Transaero, which based part of its fleet in Pulkovo and operated several long-haul flights from here, left the market, Pulkovo’s only base carrier is Aeroflot-controlled Rossiya. As Aeroflot strives to direct its international passenger flow through its hub in Moscow, Pulkovo faces a threatening shortage of international traffic and searches for new sources of long-haul passengers. The growth of domestic traffic, no matter how significant, cannot compensate the current dive in international traffic for an airport of Pulkovo’s scale.